Arsenal are on the verge of having a prolific striker on a platter of gold. According to Sportswitness, Arsenal are interested in Paris Saint Germaine Forward, Ezequiel Lavessi. The 30-year-old current contract with the French champions terminates this summer and it is reported that PSG are eager to sell him off in the January transfer window lest he eaves on a bosman in the summer. This has attracted the interest of managers in top clubs, of which our Wenger is also guilty of. The Argentine international has scored only once in 10 league appearances for his current club and this boils down to the fact that he has fallen down the pecking order the striking department and most times comes off the bench. 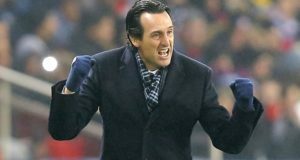 He is reportedly pushing for a move out of PSG in search of regular playing time. It is reported that Juventus are favorites to secure his services, as the Italian giant have enquired about his availability. His style-of-play fits the premier League, as he is quite sturdy and likes to hold on to the ball. He would give the EPL defenders some headache if his deal pulls through. Considering his age and present contract conditions, he would be available on the cheap, which is a perfect ‘Wenger Deal’. Fellow teammate, Zlatan Ibrahimovich is also pushing for a move out of the PSG. Arsenal are not going to sign a 30 year old striker. Arsenal have never signed players at the ends oftheir careers to permanent deals. Even recent signings Ozil, Sanchez, Welbeck, and Chambers were all players yet to enter their prime years. 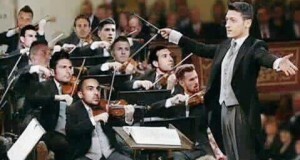 There is no sell-on value to such players and Arsenal do not have the money to waste. Can they afford Cavani? Absolutely. Will they sign him? Never. Not because of his price tag, but because of his age. 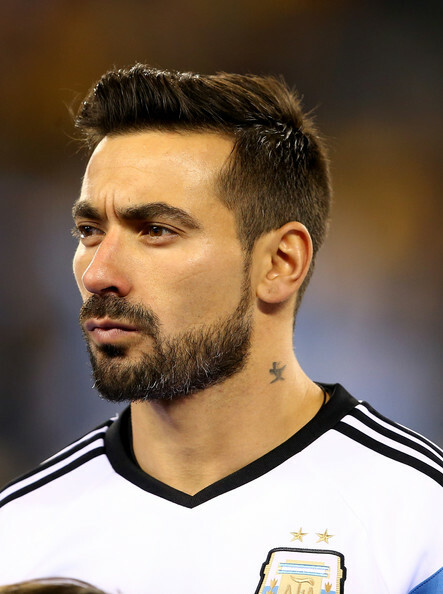 If Lavezzi were available on a free or for a very low fee, say under £5million, maybe. Just maybe. Wenger brought Flamini back as he approached 30, but only because he was on a free. The idea of paying £50 million for Cavani or even £12 million for Lavezzi at 29 or 30? Forget it. There are other options available, and with Welbeck returning and Walcott and Giroud both playing well, striker is not an area of concern. Unless Arsenal pick up fresh injuries, Arsenal will not spend in January except on youth players. A caveat to this might be that, is they make it to the next round of the Champions League, Le Prof decides he wants to make a run at multiple trophies, it is possible he might sign a defensive midfielder, center back, or winger to add depth. More likely is the club will recall Gnabry for his wasted loan spell at West Brom or just wait for Welbeck, Wilshire, Rosicky, and Arteta to get fit.